Winter is not usually thought of as the ideal season to move. Cold weather, short days and snow can all make a winter move not only challenging, but down right miserable. Sometimes a winter moving date just cannot be avoided. 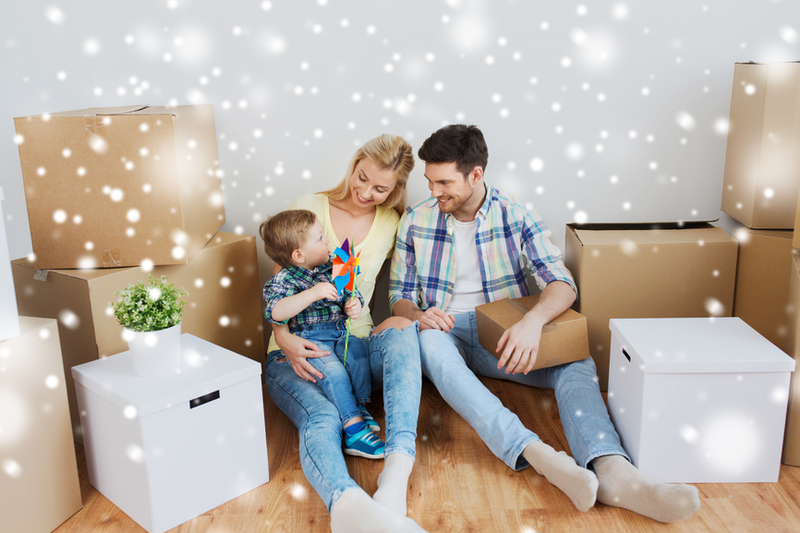 As the premier mover in Kamloops, we would like to offer you these 5 tips on how to survive your winter move. How you pack your belongings will be different for a winter move. Breakable items are even more fragile in cold weather so make sure to add another layer of protection such as bubble wrap to keep them safe. Electronics may also be more susceptible to damage in cold weather so make sure that they are properly protected and in boxes during the move. It is also important to protect the inside of your home from the winter weather as well. During the move you will be tracking snow and debris into your home as you transport your items. Lay down cardboard to protect your flooring and prevent slipping. This may sound like common sense, but it is so important to clear the snow and ice from your driveway, walkways and sidewalks. Not only can snow and ice be a huge safety concern, it can also slow or hinder the moving process. Sometimes shoveling away the snow is not enough, if you encounter a layer of ice try using salt to break it up. There are far less daylight hours in the winter so it is essential to get an early start to the day. Not only is it easier (and safer) to move when it is light outside, it is usually warmer as well. Make sure to take advantage of the limited daylight hours and plan accordingly. A scarf, gloves and a hat or tuque. Layers that can be easily removed or added, as you will be between two climates (indoors and outdoors). A warm pair of boots with good traction to prevent slipping. One of the most overlooked moving tips is not having your utilities up and running in your new home before the moving date. Make sure that you have hot water, heat and electricity in your home before you move in. Not having working utilities can be more than a mistake, it can be a winter moving disaster. By adhering to these simple winter moving tips, you would be able to enjoy a relatively problem and stress-free move. If you would like more information about moving in the winter or are interested in the many moving services that we offer, please contact us today. We would love to be a part of your next winter move.